Why Gilbert's Postal Address Append Service? Our Postal Address Append Service give better access to target the audience of any industry and any location. Get your desired business list from Gilbert data. Build high-quality Address List with your targeted Customers, Employees, IT Professionals, High level Executives and Administrators of all businesses. Our Postal Address lists are frequently updated through Tele-verification. We do <1.5 million verification calls per month for removing incorrect data. Boost B2B and B2C marketing via direct marketing, Telemarketing and Online marketing campaigns with our targeted Email Appending Services. You’ve fabricated an unlimited database of your client’s and prospects’ email addresses. You need to start marketing to your clients via direct mail, but you don’t have their postal addresses. Gilbert Data postal appending service affix postal addresses to your current email address database. Our business postal address append percentage differs depending on the explicit of the company names in your list. Your record must match our database record accurately in order to append a postal address; or else no match will be given. The average percentage appended is 80% to 100%. How Do We Append Data? We analyze the quality and fill with your data file. After a match test, we will fix price per record. Match your entire database with our master database. Successful matches are verified by our in-house verification experts to ensure valid data. Get Verified & Customized Postal Address Append Service Now. Get complete details of company Credit History, Formation, No. Of Employees and much more. Appending is efficient & percentage is 30%-60%. Append Match Case is 80%-100%. Get any company details corresponding postal address or zip codes of any state. Our append Services give better access to target the audience of any Company and any Industry. Get your desired web address list. Gilbert Data helps you to add missing fax numbers to your customer database based on Company name, Email and Address. Gilbert Data provides Alternate Contact Append Service, with a database of 32 million business executives with complete contact info. Business Email Append Services by Gilbert Data are 100% verified Email Appending at Cheap Price. Get Free email list up to 100 contacts. 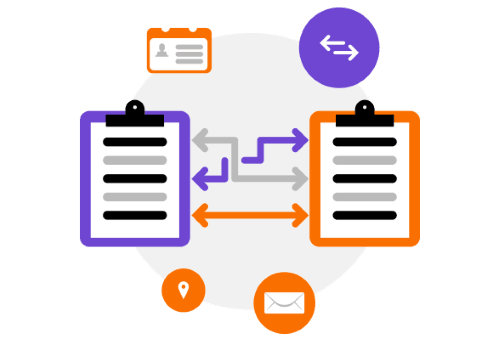 Our Reverse Email Append Service adds missing details like title, mailing address, phone/fax numbers, State and Zip Codes to your email list. Validate Email lists, Clean email lists with our accurate data. 20k+ Happy Clients. Email Spam Trap Detection Service. Reduce your bounce rate by <90%. Phone Append contains B2B Phone Numbers List of 250+ million records of US, UK, South America, Africa and APAC Regions. One Click Inquiry. We Help You To Get High Quality B2B Leads From Our Postal Address Append Services. Didn't Find Your Desired Data Append Service ? We Help You Get That.